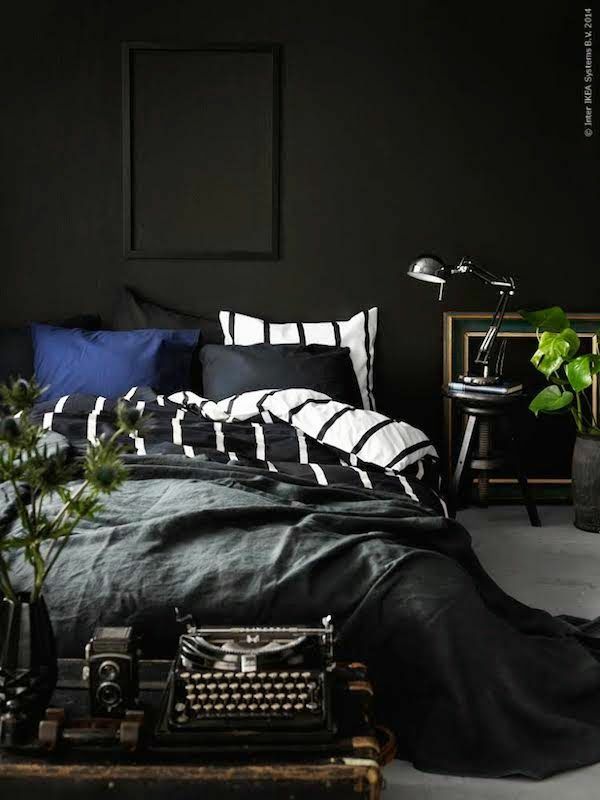 For a while now, I’ve been dreaming of painting our bedroom a dark color. 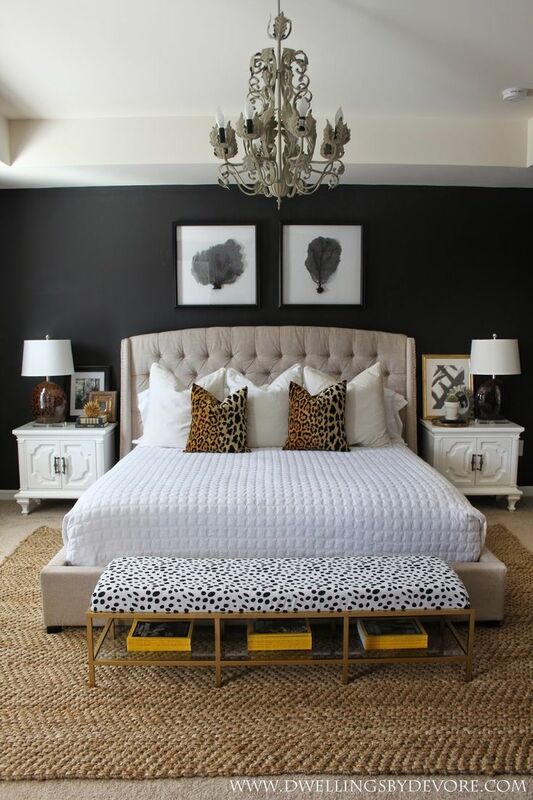 Black might seem like a bold choice, but when done right, it can be very elegant. Now that we’re homeowners and can do anything we want to our walls, we decided to go for it! In prep, I pulled inspiration from Pinterest and built a board of my favorites. After narrowing it down (and convincing my husband) we took the plunge and committed to a color. 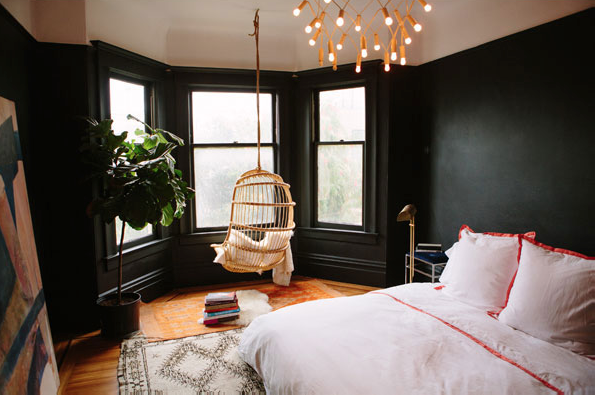 We were tempted to stick with a dark or warm gray, but in the end we decided to really go for it. 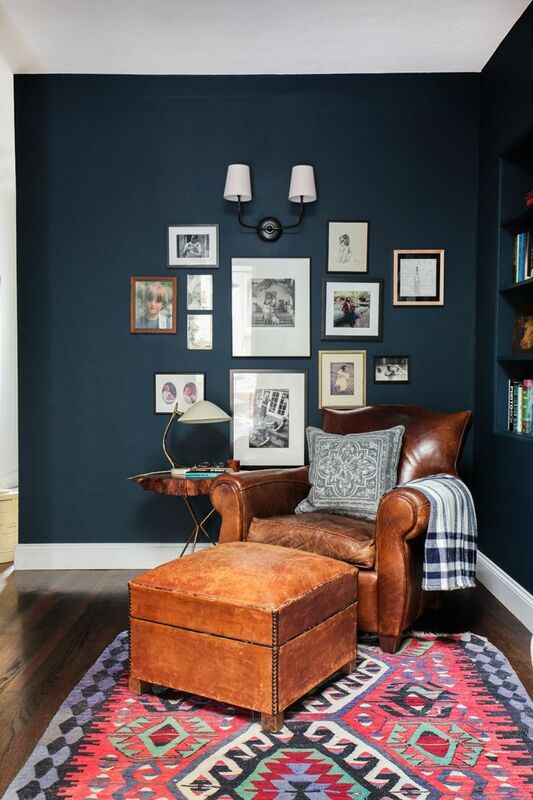 We chose Valspar’s Lincoln Cottage Black. 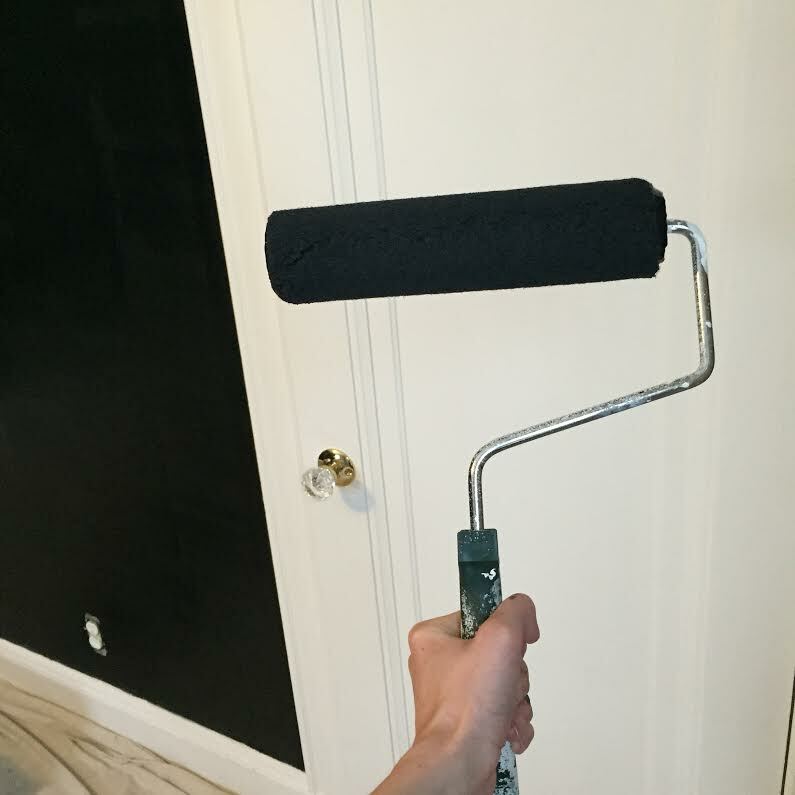 I’m not going to lie, it was nerve wracking to roll over the existing light gray color on the bedroom walls, but once we started there was no going back. I questioned the decision while we were painting, but kept my qualms to myself. I’m happy to report that the worrying was for nothing! I’m so thrilled with how it turned out. 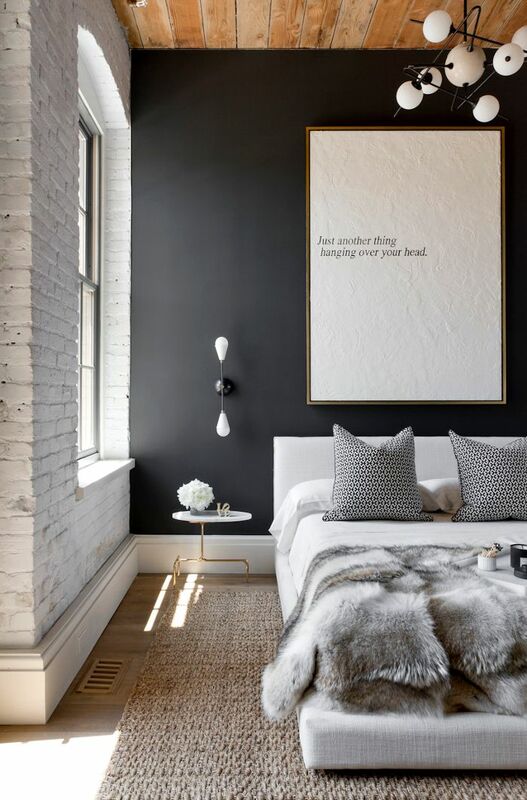 I love how the black makes the white trim and other white accents feel extra clean and crisp. Slowly but surely we’re adding pieces to the walls to break it up. Recently, a $17 mirror, (a find from the Brimfield Antique Fair) went up. What do you think? 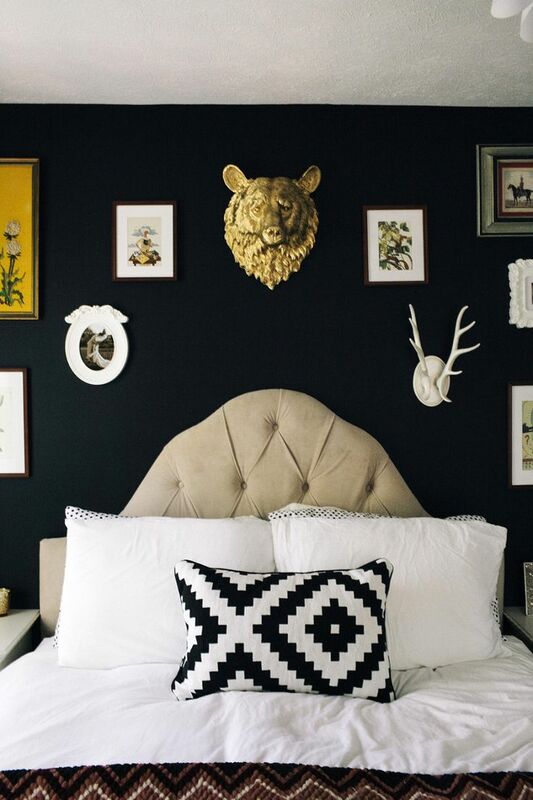 Would you ever decorate with dark paint?